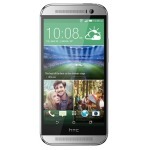 The HTC One E8 is a plastic remake of the all metal M8 that sports identical specs with the exception of the camera (13MP vs the latter's 4 "UltraPixel"). With this being the case, it's only fitting that the pair get an OTA update at the same time. Sprint is now pushing one out to the two devices that introduces basically the same features across both. The most interesting item on the change log is perhaps the addition of international Wi-Fi calling. This functionality sounds like it would benefit Sprint customers who frequently dial out to folks who live or work overseas, but these calls are only free between people who live in the US, Puerto Rico, or the Virgin Islands. Calls to other international locations are still subject to current rates. As for other items on the change log, there's GPS enhancements, ItsOn integration (software Sprint can use to manage services and billing), accessibility improvements, and a security patch. The E8 also receives Sprint Zone improvements. The OTA bumps the M8 up to version 3.30.651.2 and the E8 to 1.22.651.1. As usual, the update is going out in stages.